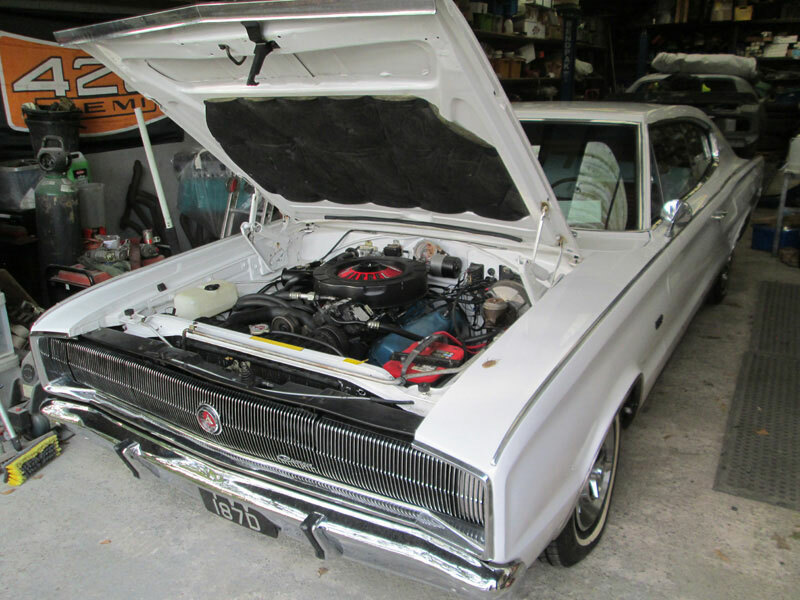 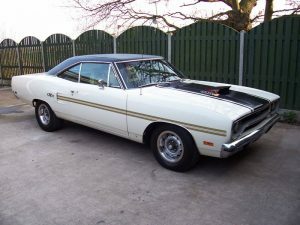 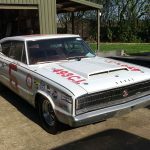 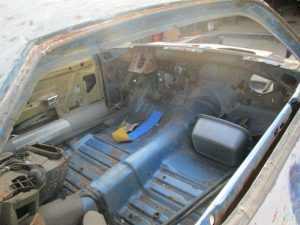 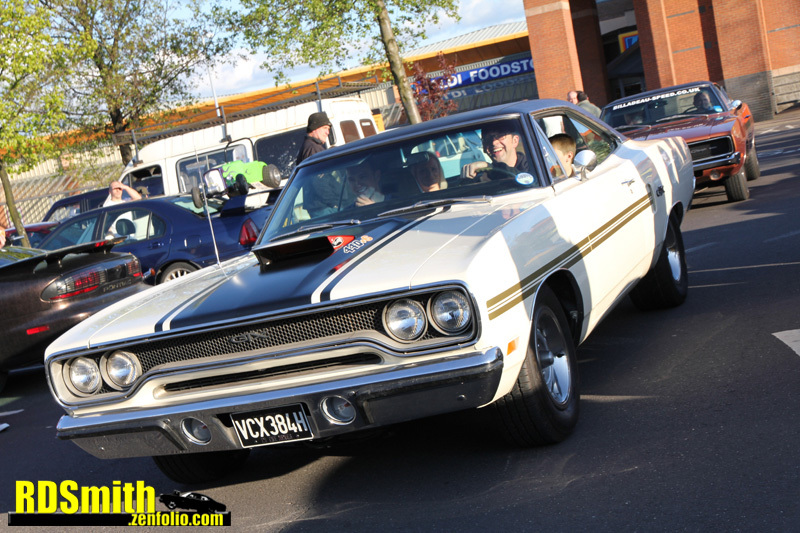 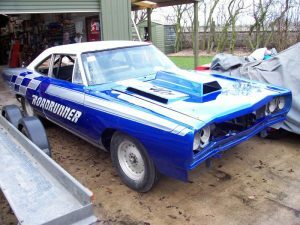 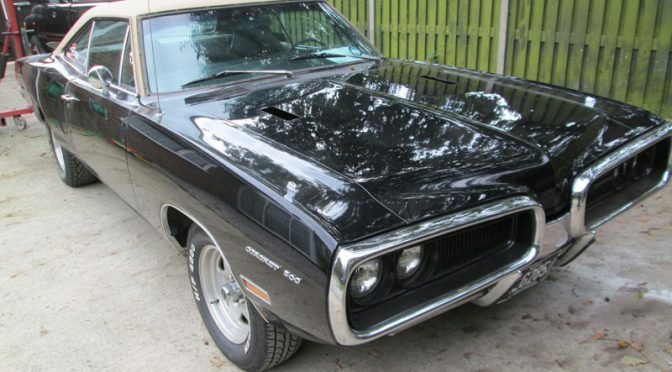 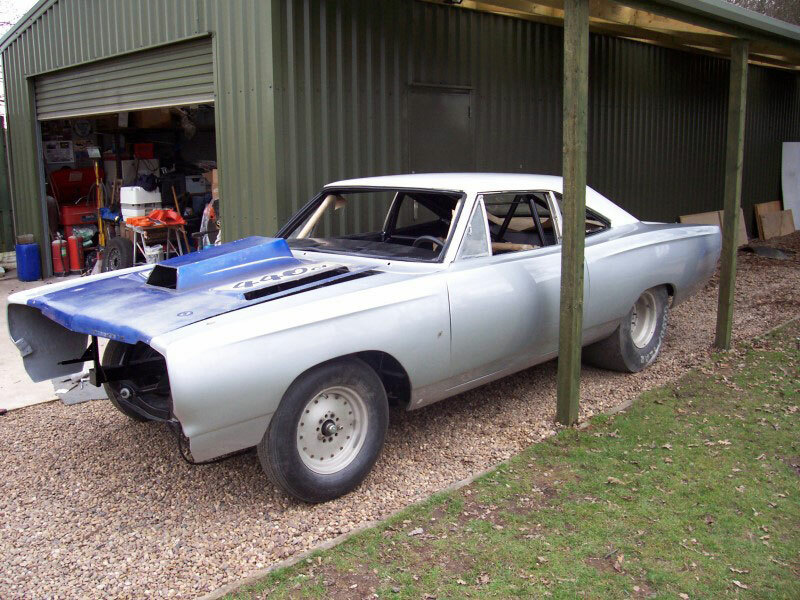 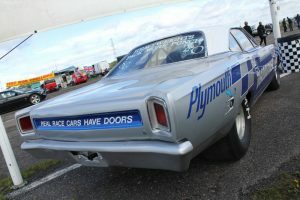 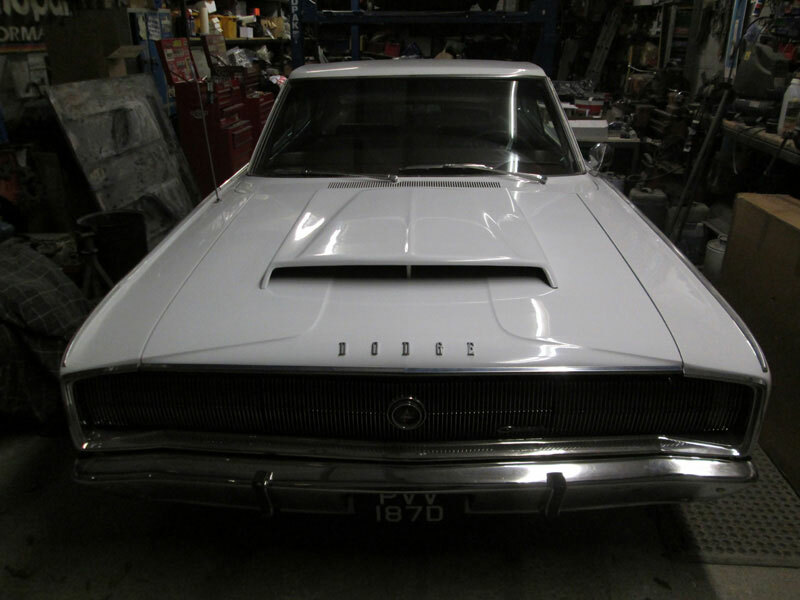 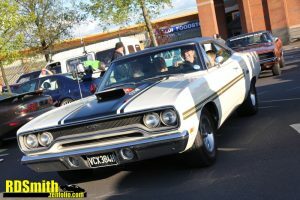 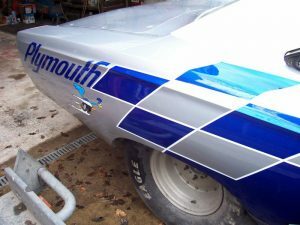 Adrian’s early Charger was fitted with a 493ci motor, a new transmission, a Sure Grip and a Turbo Action shifter was installed in the original centre console. 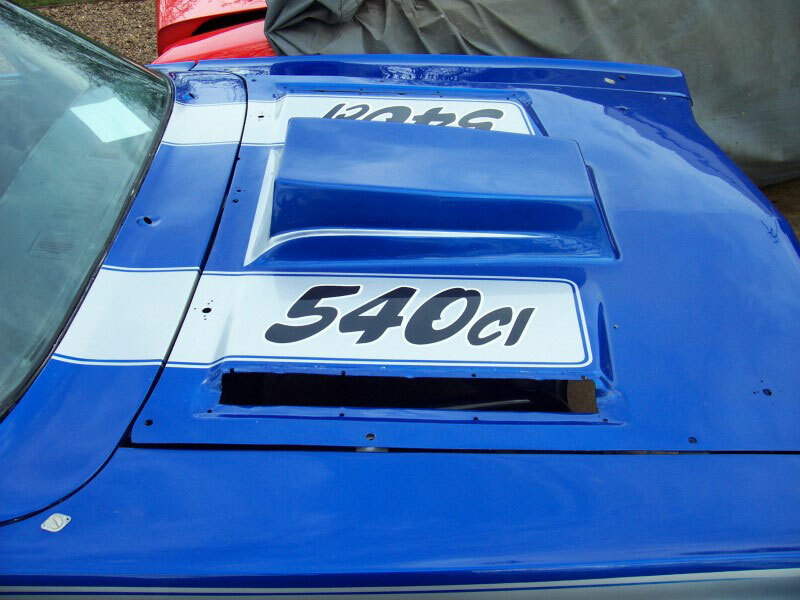 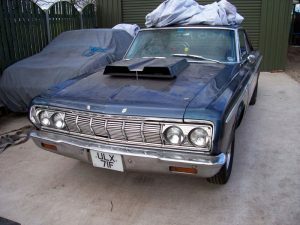 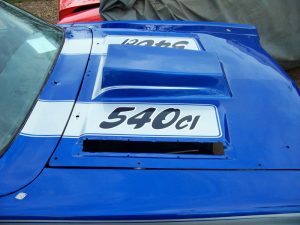 The hood scoop was also fitted. 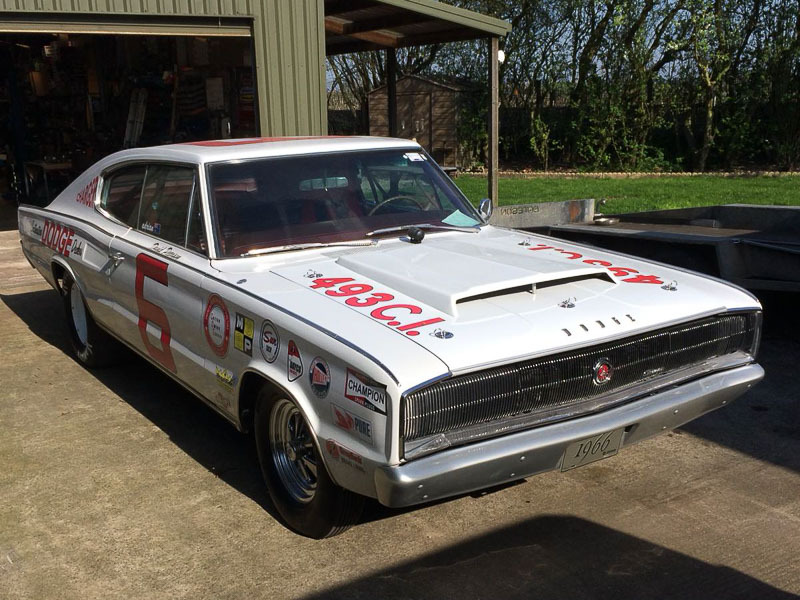 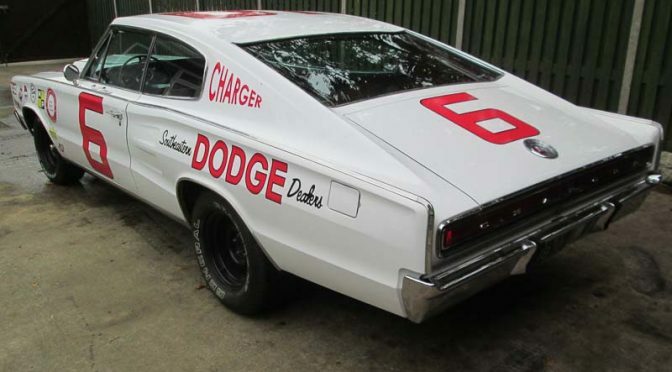 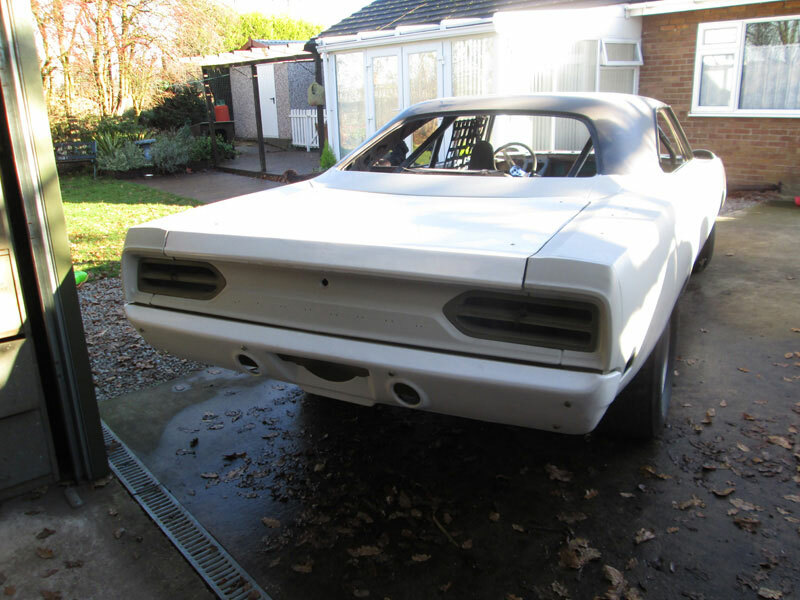 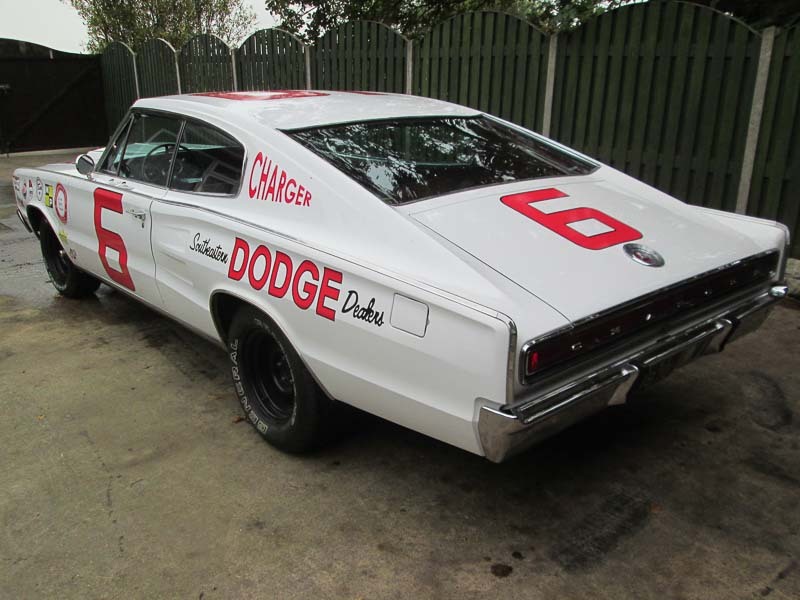 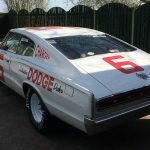 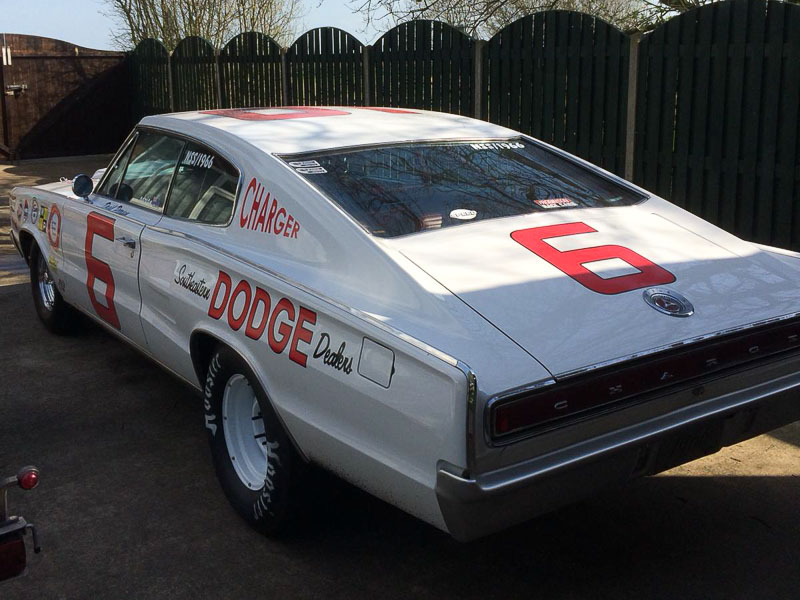 The Charger returned, now complete with a period NASCAR paint scheme, to be fitted with an MSD, torsion bars, Super Stock springs and new Flowmasters exhausts. 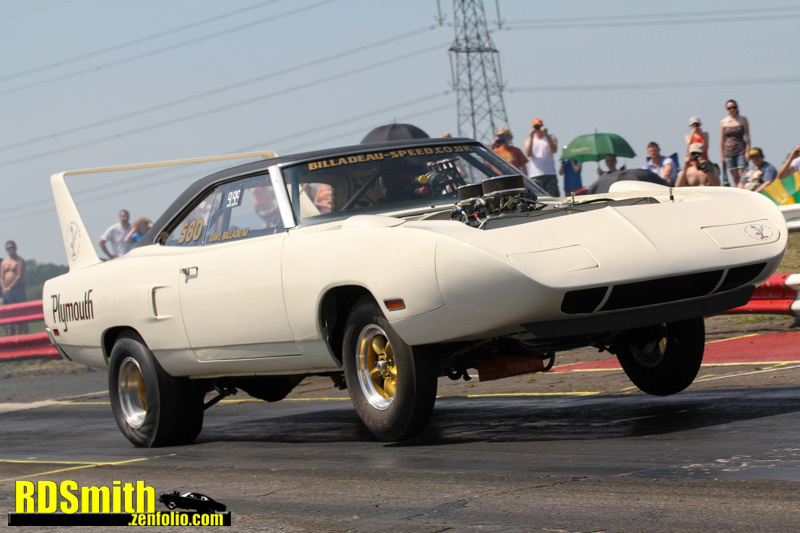 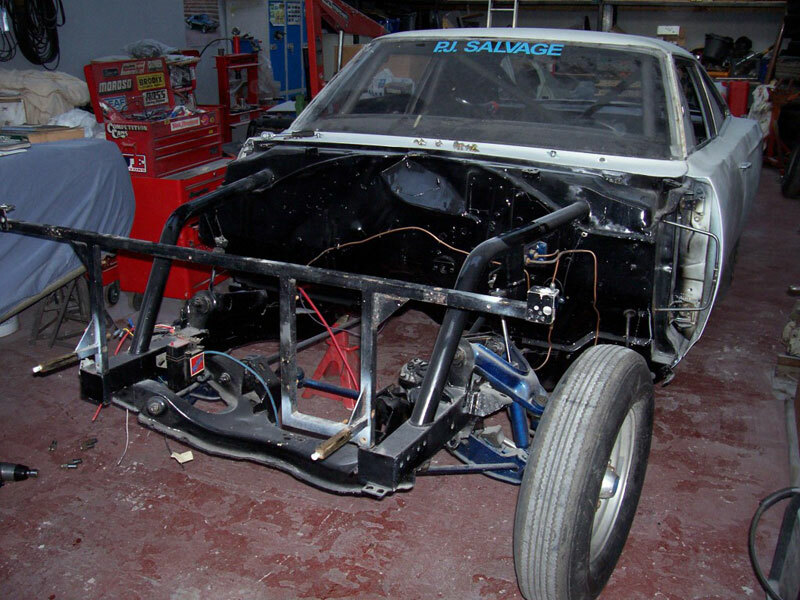 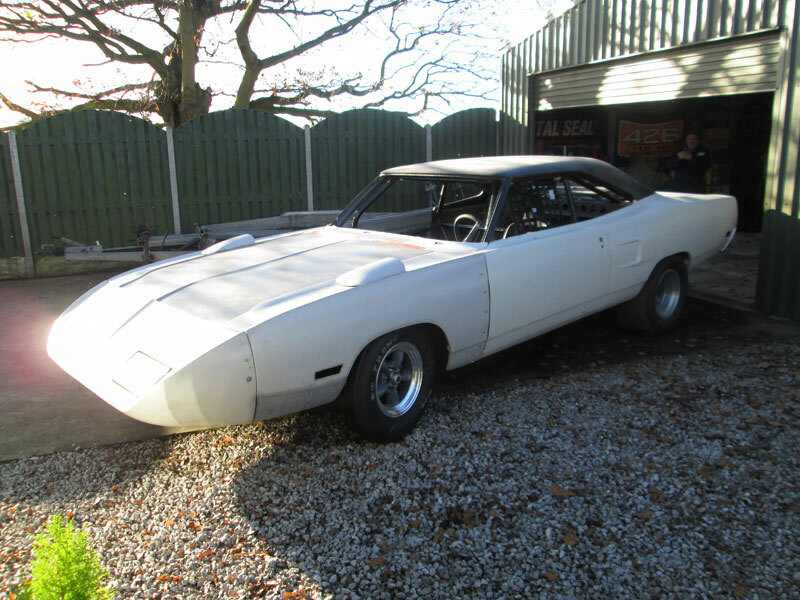 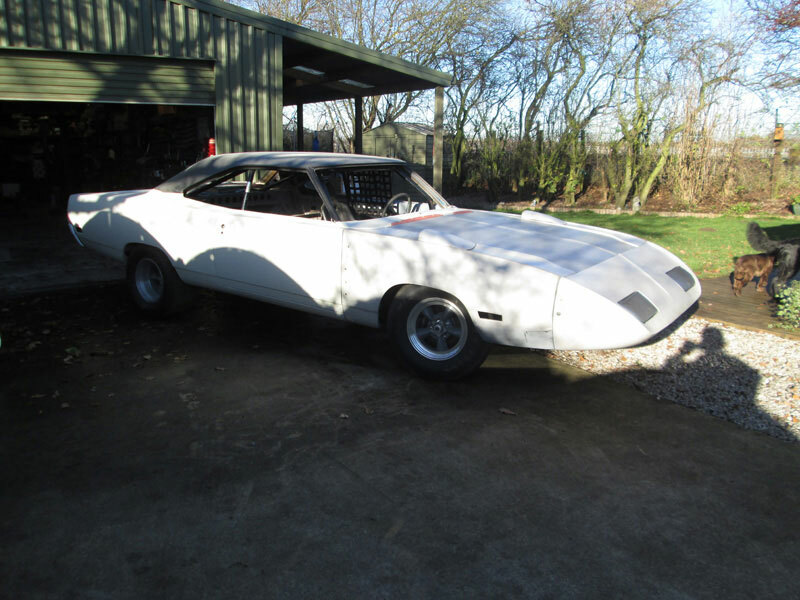 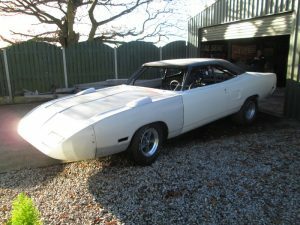 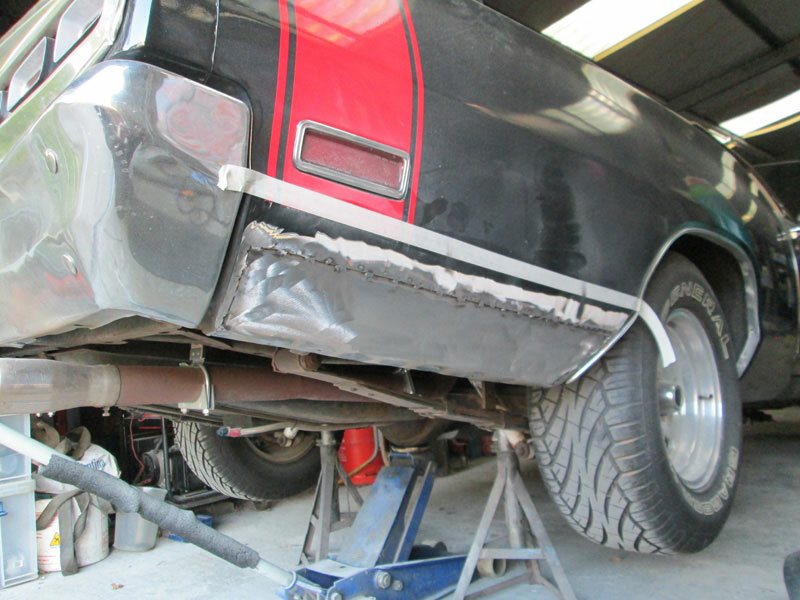 Adrian has continued to develop the Charger over the years and his most recent visit to Billadeau Speed was for a Dana 60 and Caltracs to be fitted. 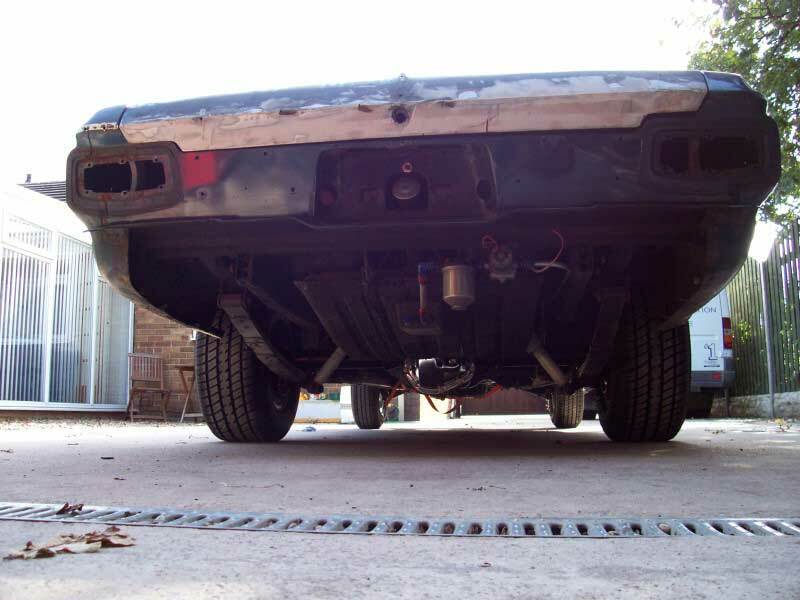 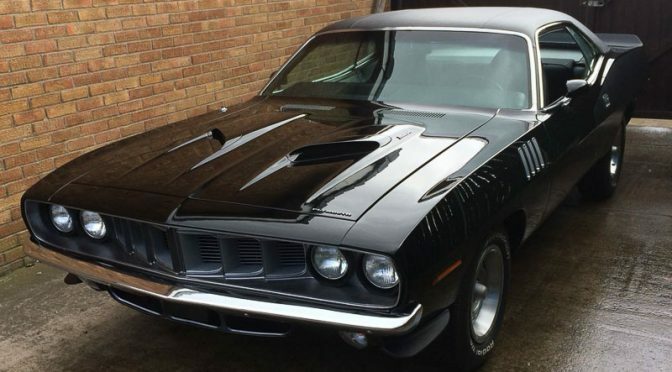 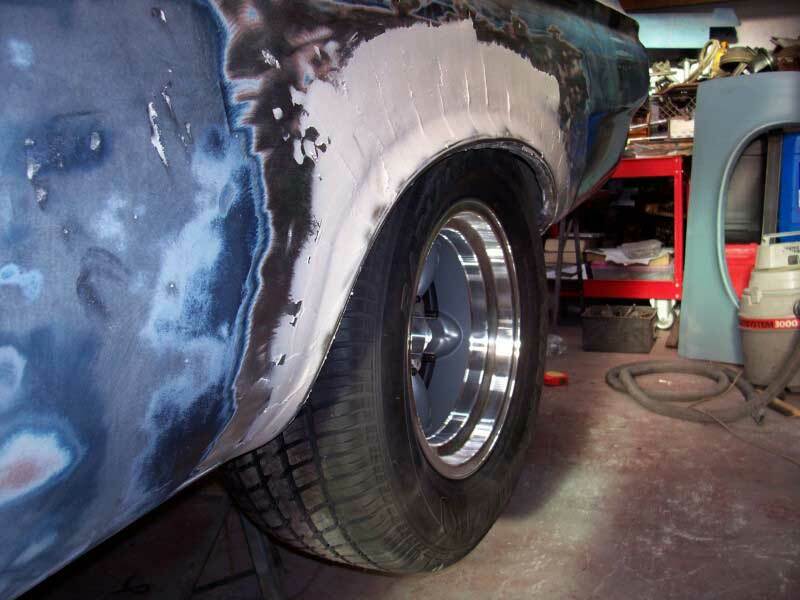 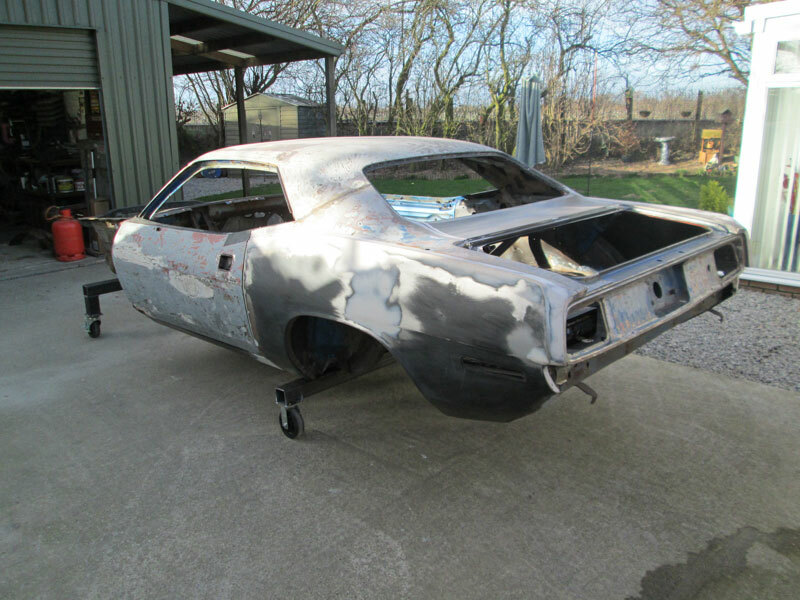 This is one of the latest Billadeau project cars, a ’71 Cuda. 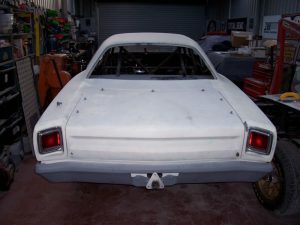 Progress was steady but we got there in the end! Yet another new Billadeau toy. 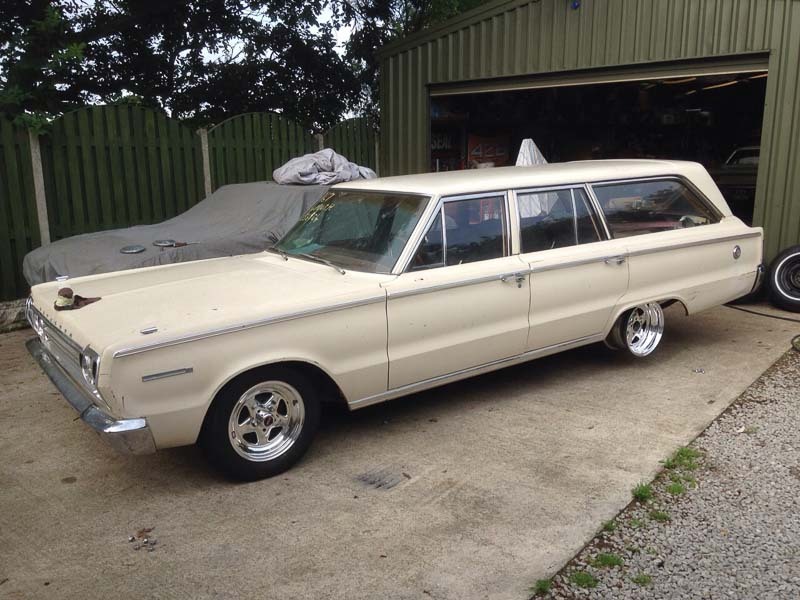 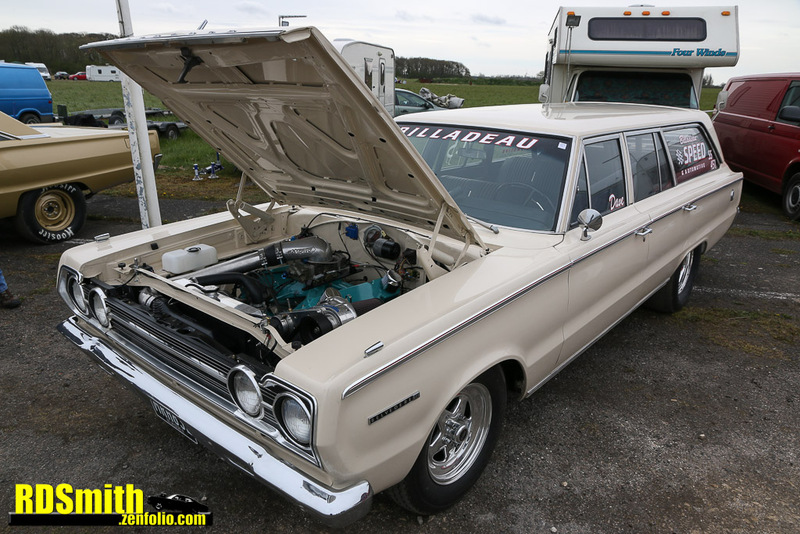 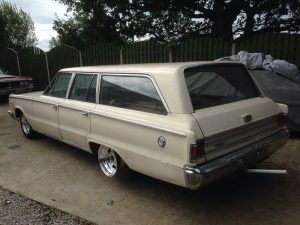 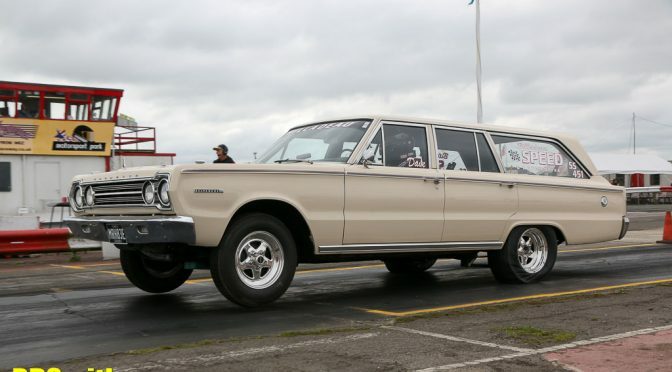 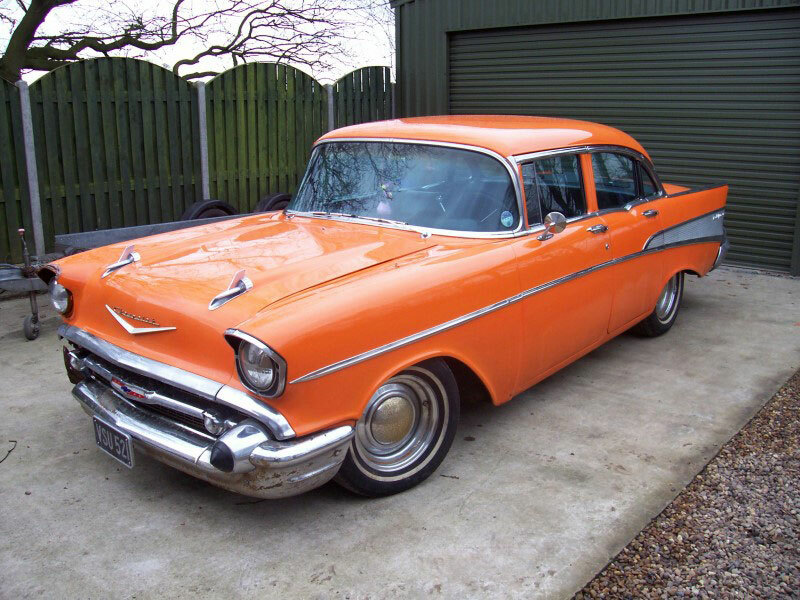 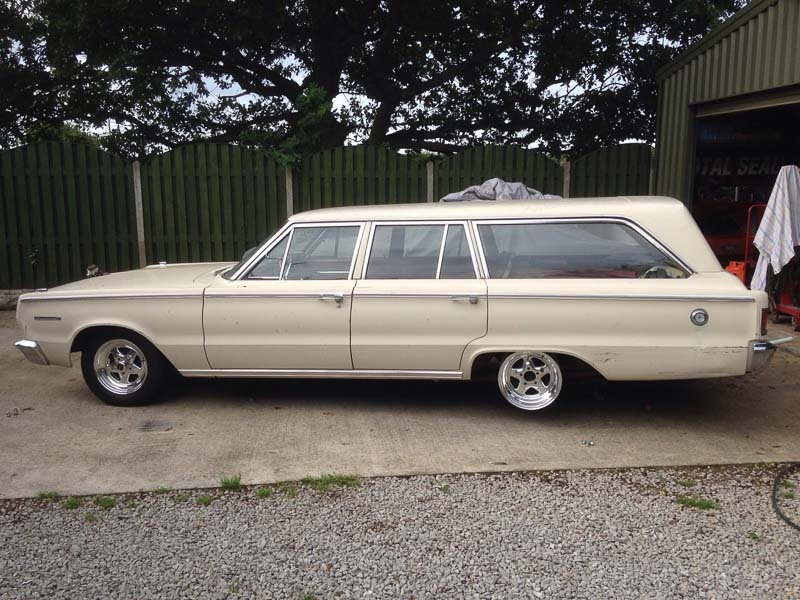 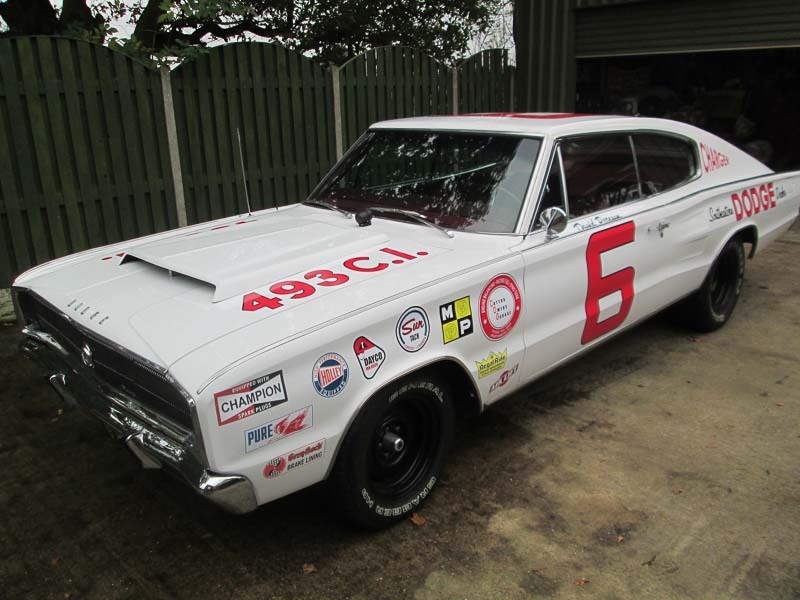 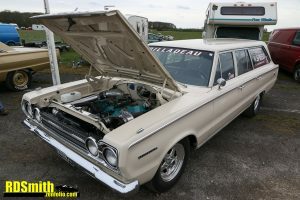 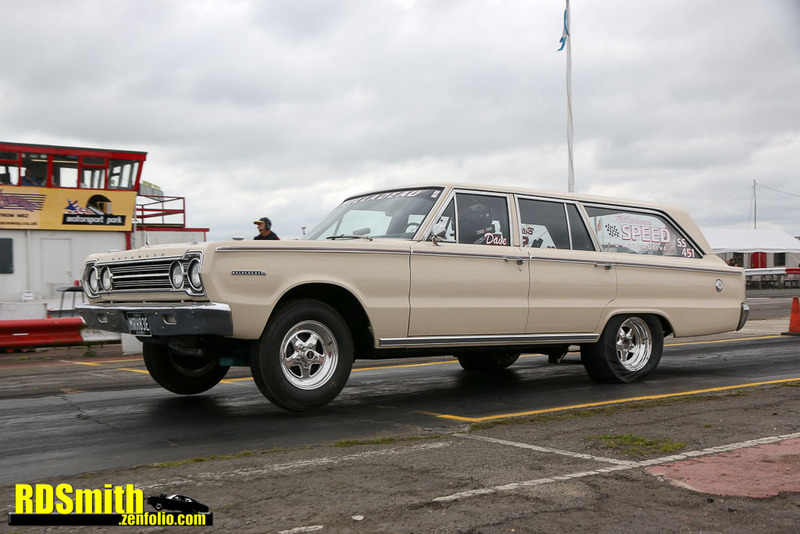 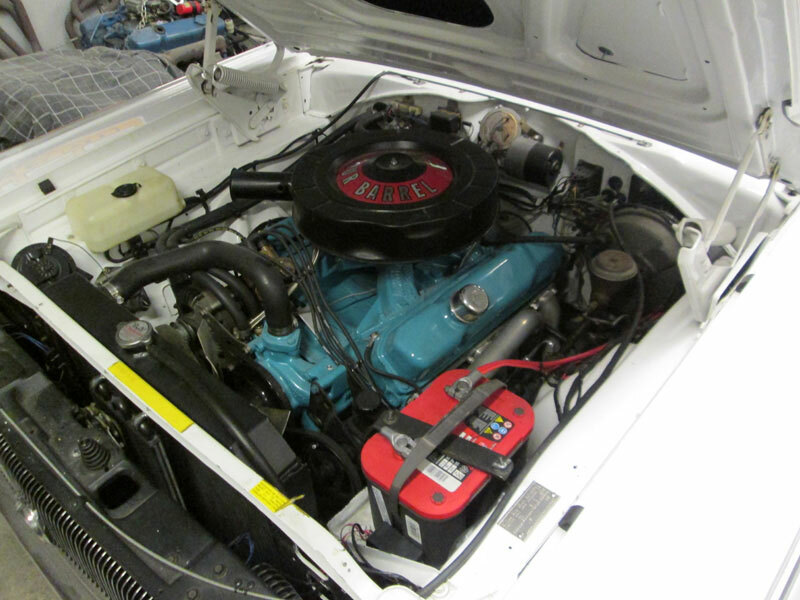 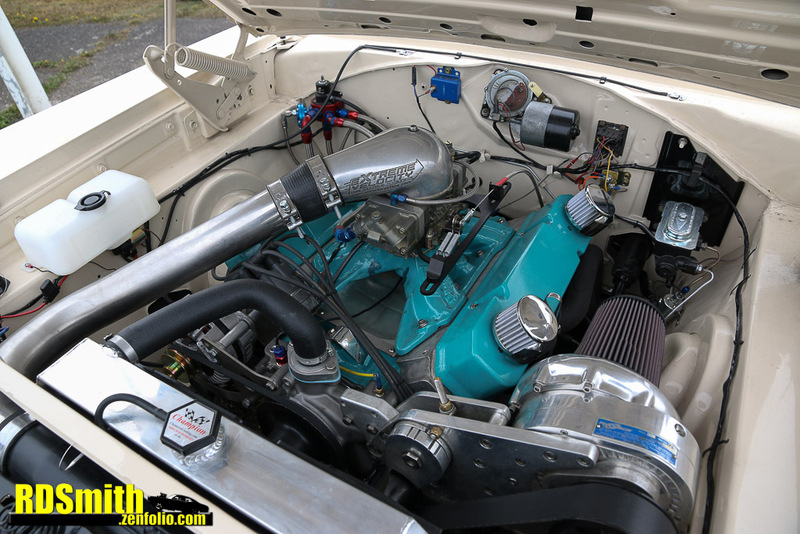 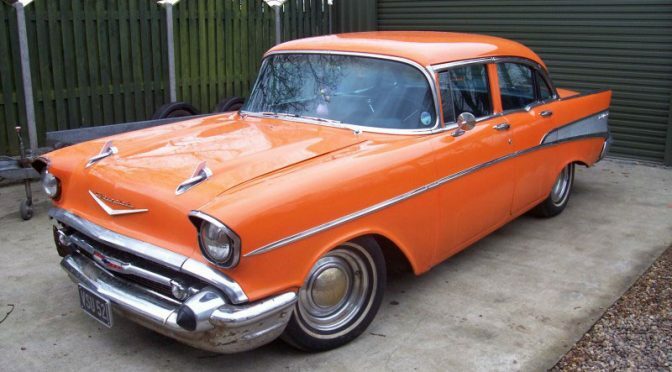 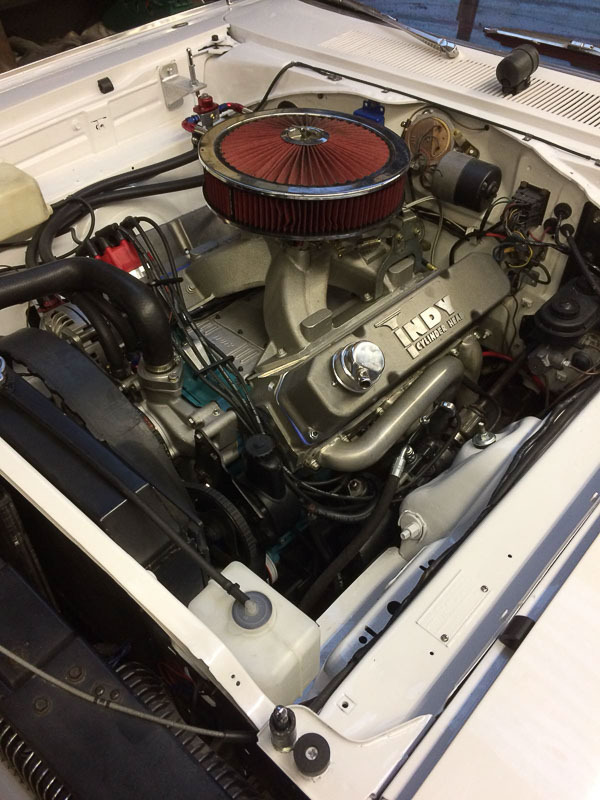 This freshly imported station wagon became the home to a pro-charged 452ci big block. 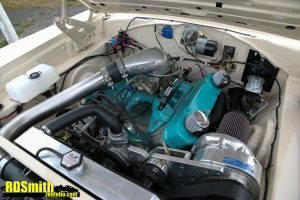 Based on a 400ci block and fitted with Edelbrock heads, coupled to a 727 transmission and Dana 60 axle, the motor produced 703hp with 720ft-lbs of torque. 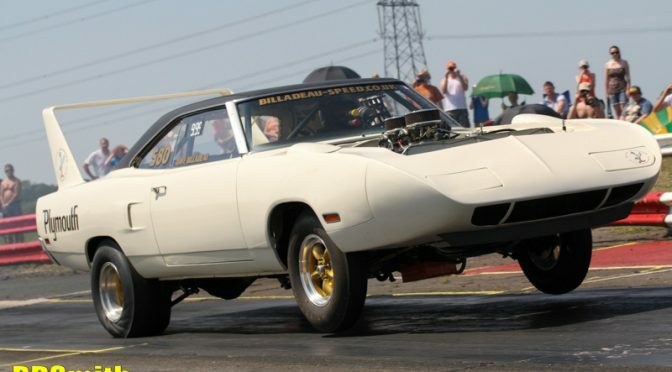 Wheels up launches are no problem for this heavyweight! 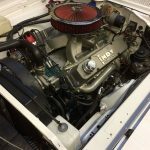 A 451 short motor was fitted to see out the 2016 season after a breakage, then it was all change again for 2017. 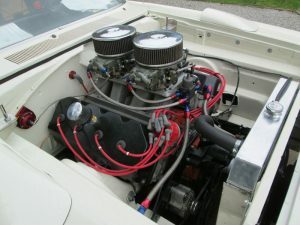 Things stepped up to a 499, built from a 400 block with a stroker crank, Indy heads and a Dominator carb. 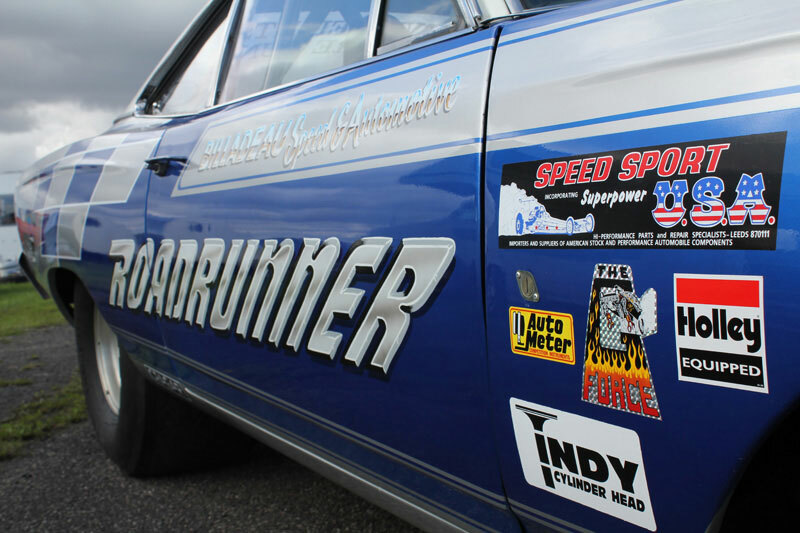 705bhp took the car into the 10.4s at 130mph with championship winning consistency! 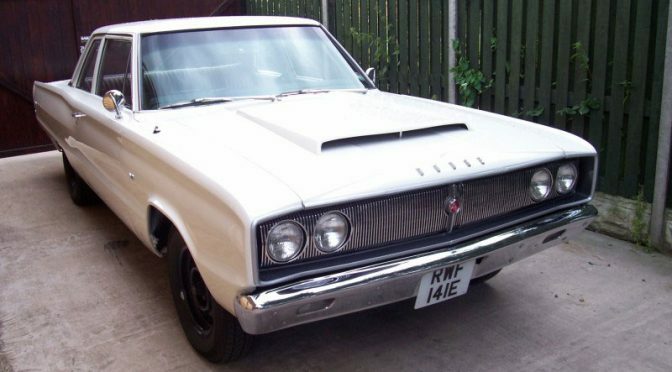 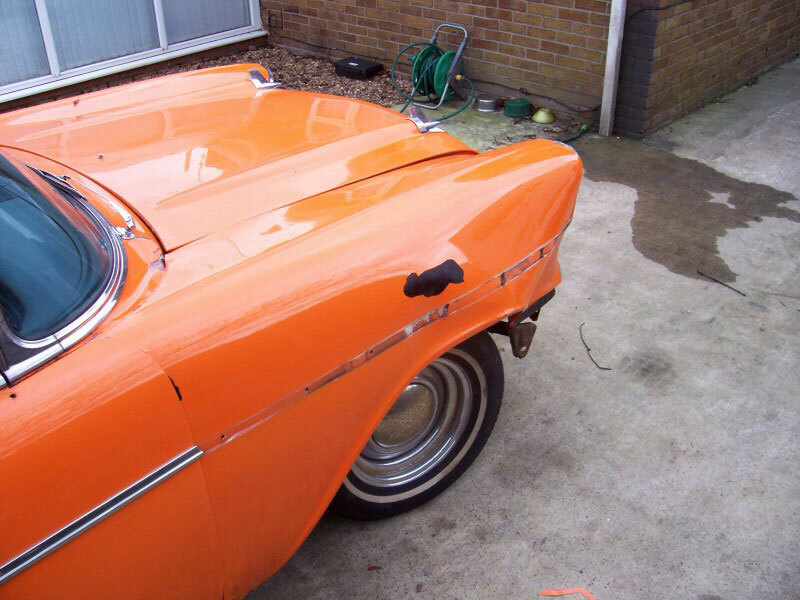 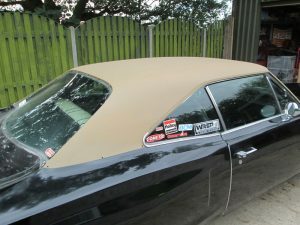 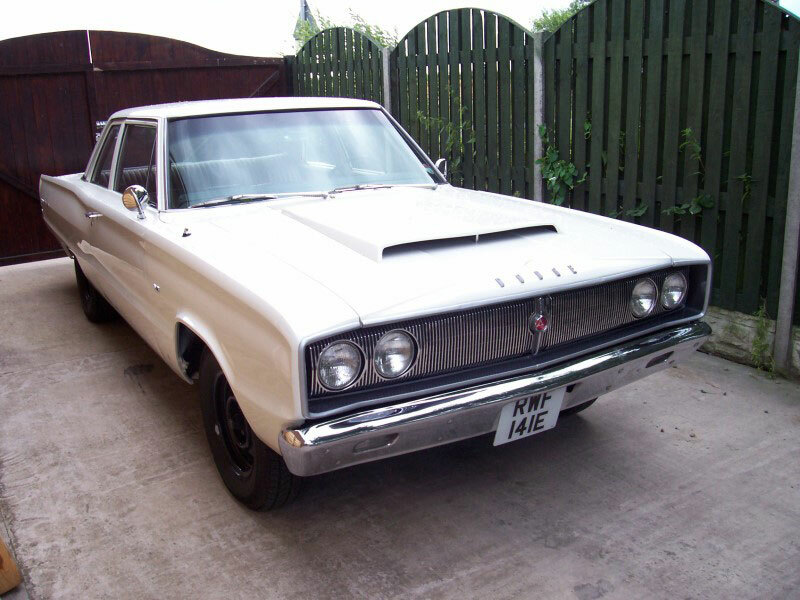 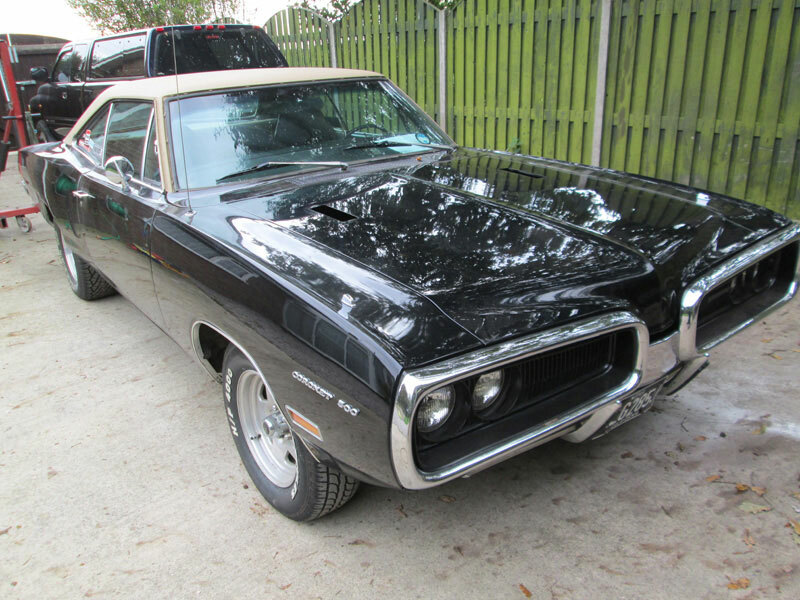 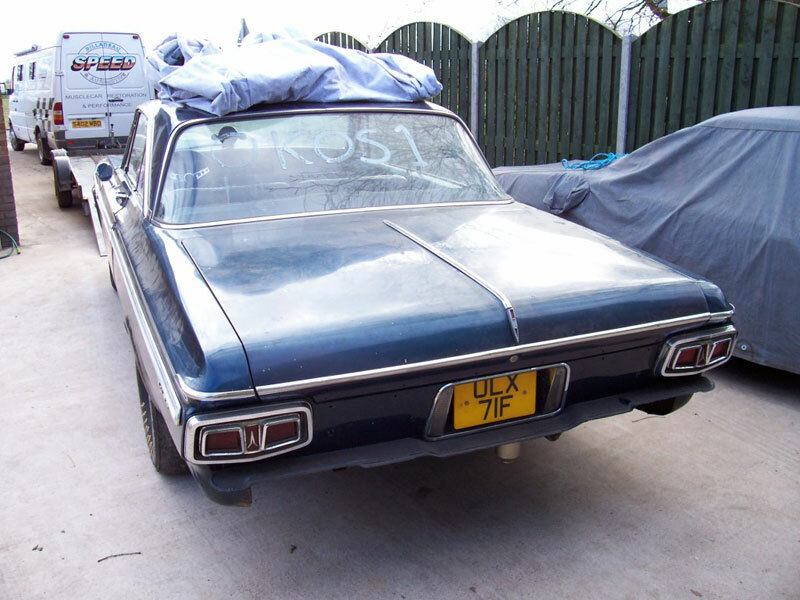 This 1970 Coronet came to us for a new vinyl roof and a few body repairs. 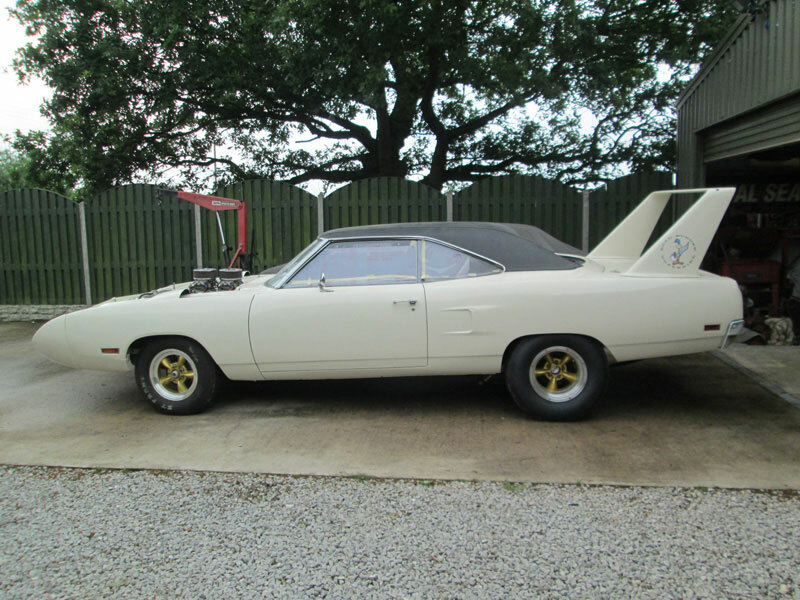 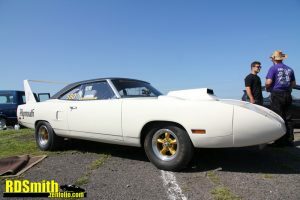 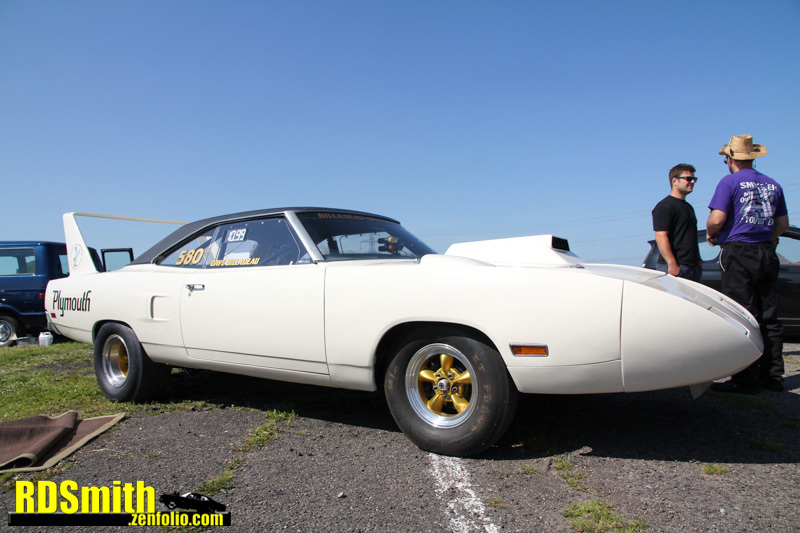 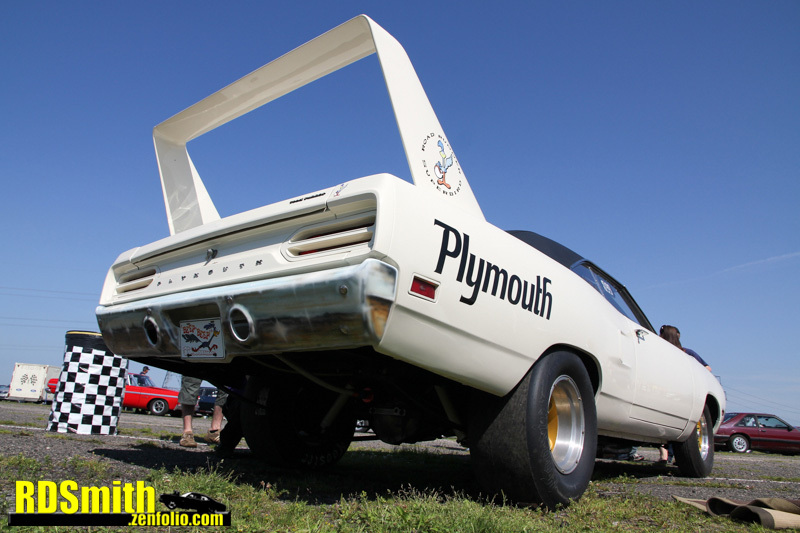 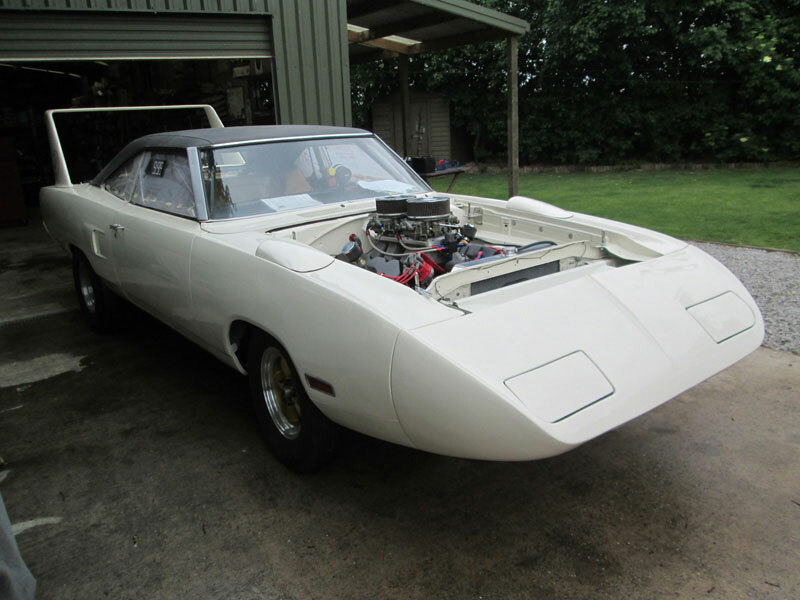 The Superbird came together and the HEMI took residence. Making 857HP it was good enough for strong 9 second quarter miles at over 140mph! 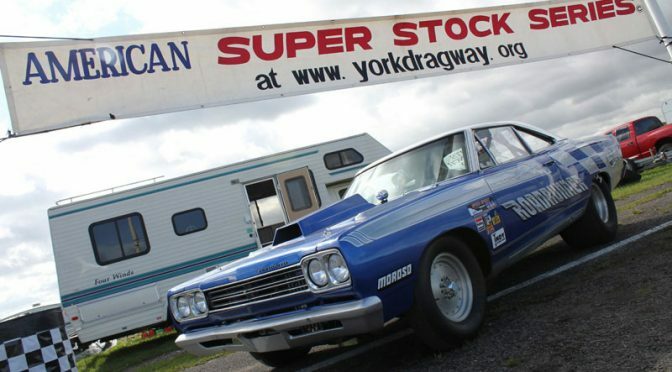 After a couple seasons in American Super Stock, the car eventually moved on to a new owner. 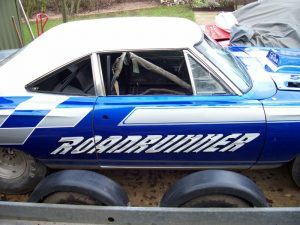 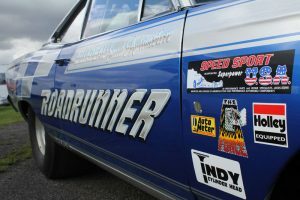 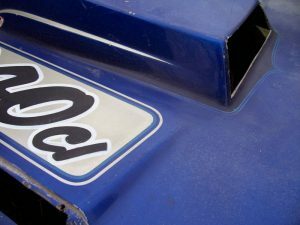 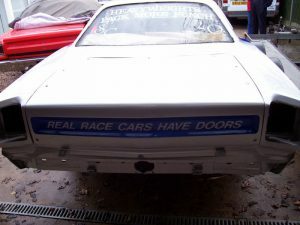 The original Road Runner race car from the mid 80’s returns! 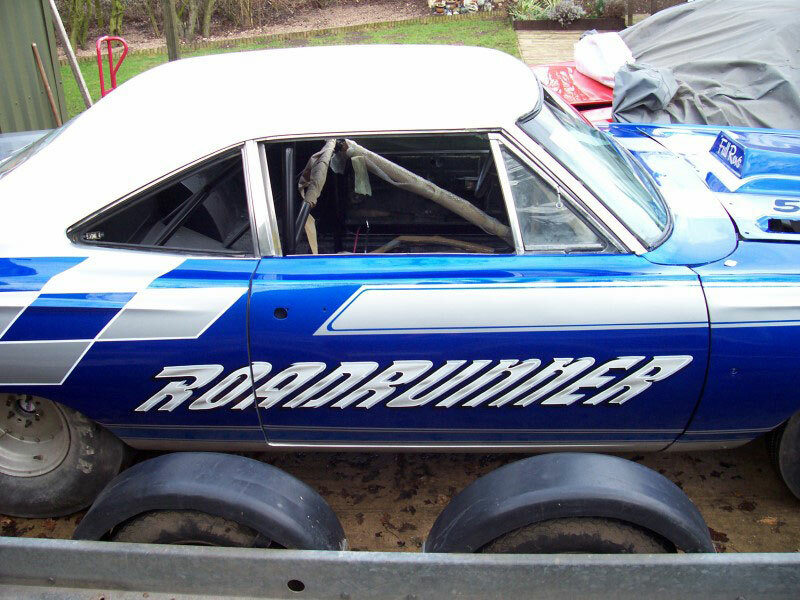 Pure nostalgia. 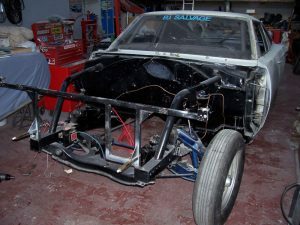 Having been back halfed and caged by Hauser/Webster, the car came to us for paint, wiring and a rebuild as a long term project. 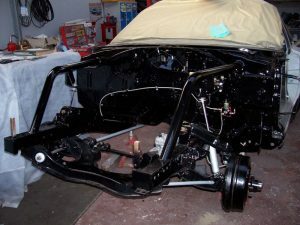 The bulkhead was painted, the front suspension rebushed, the brakes rebuilt and all parts were powder coated. After one last push the Road Runner was finally back in the hands of Paul. 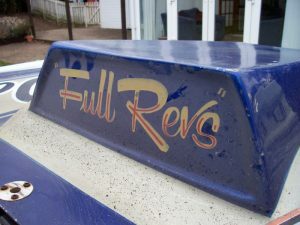 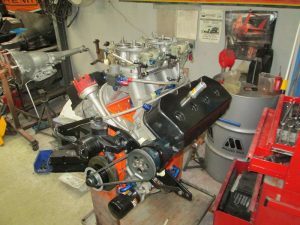 This long, steady rebuild project was ready to race in the 2012 season, Full Revs! 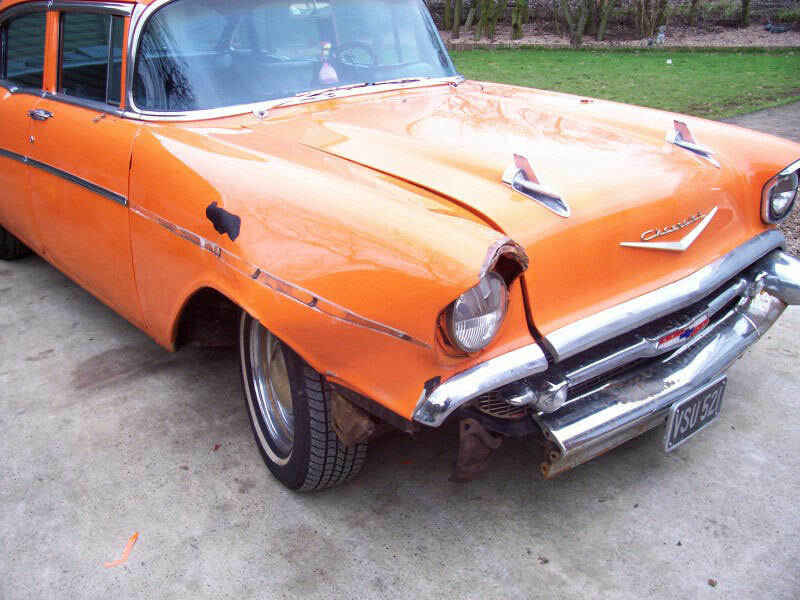 Carl and his ’57 had a slight mishap with a wall… Billadeau Speed sorted him out with another wing and painted it to match. 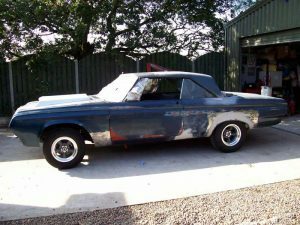 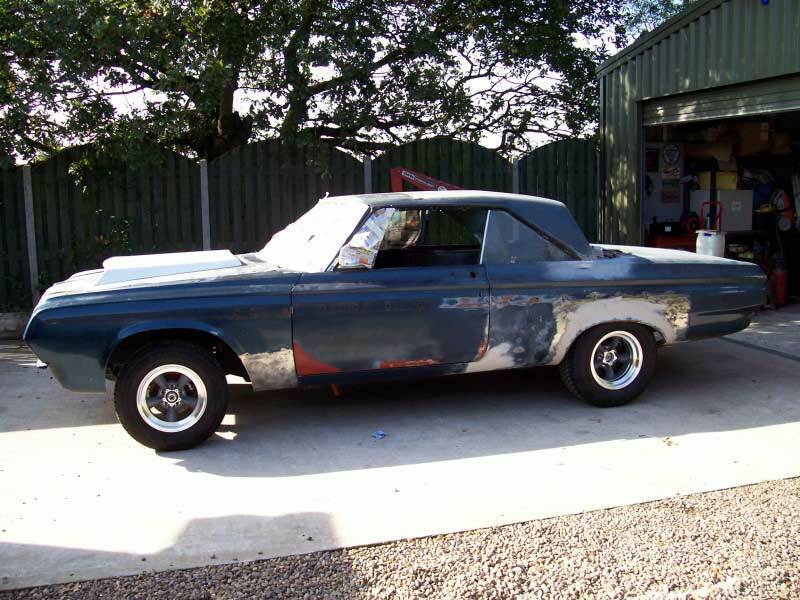 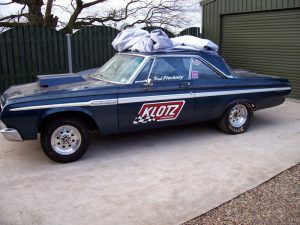 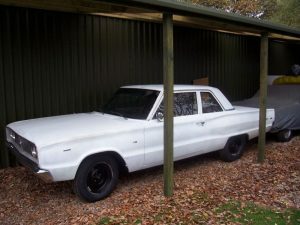 Bought in as a new street/strip project for the 2010 season, this 1964 Plymouth Fury was lined up for the full Billadeau treatment. 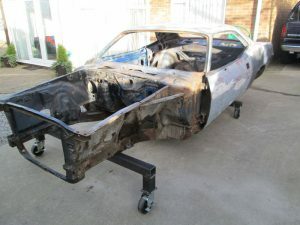 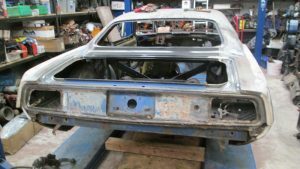 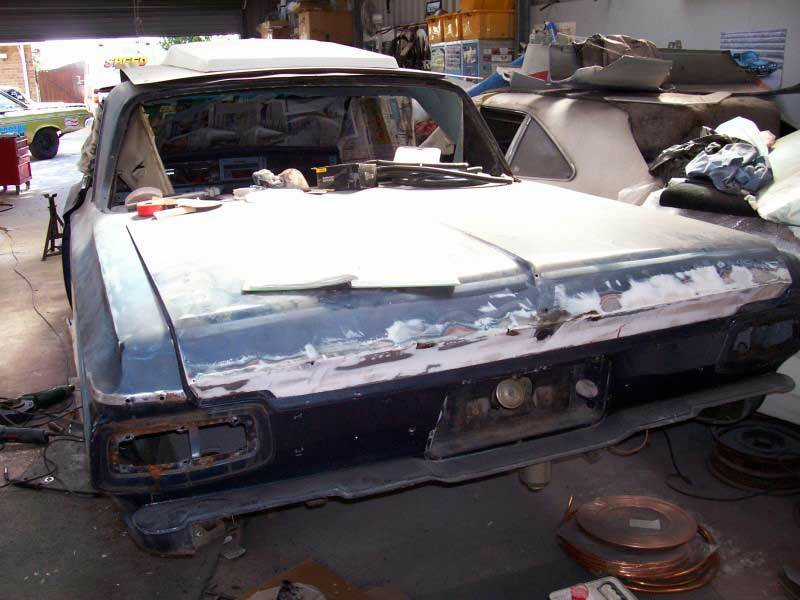 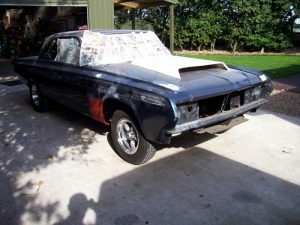 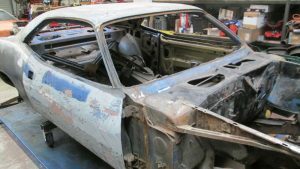 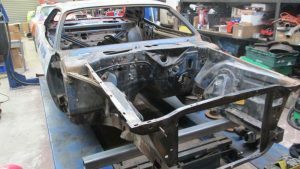 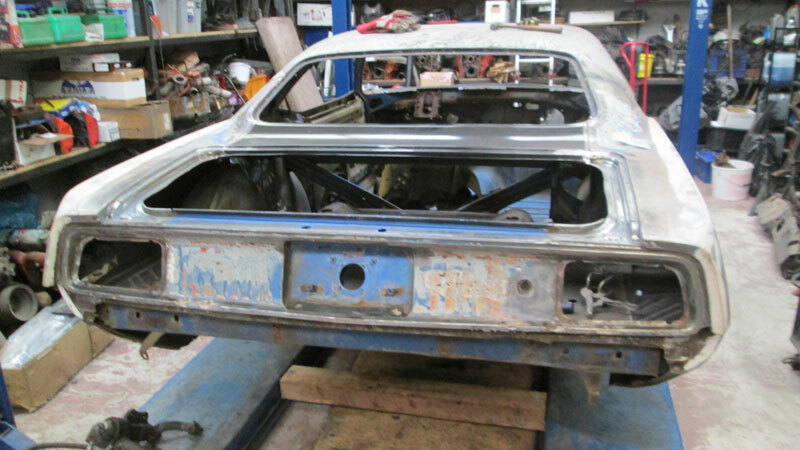 The body was stripped back ready for a panel by panel, full bare metal respray. 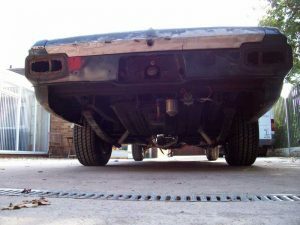 Once the bodywork was complete, the installation of a Dana 60 followed. 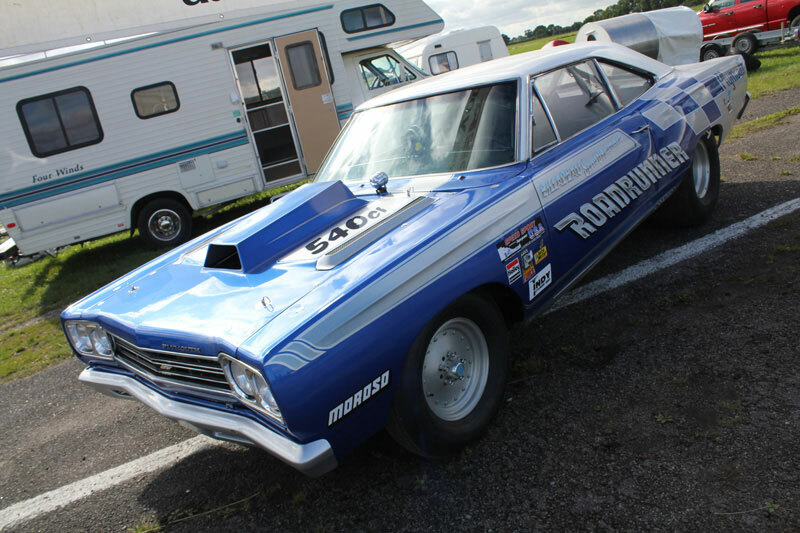 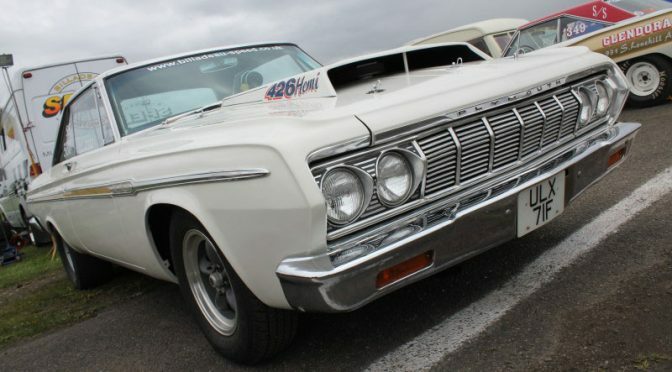 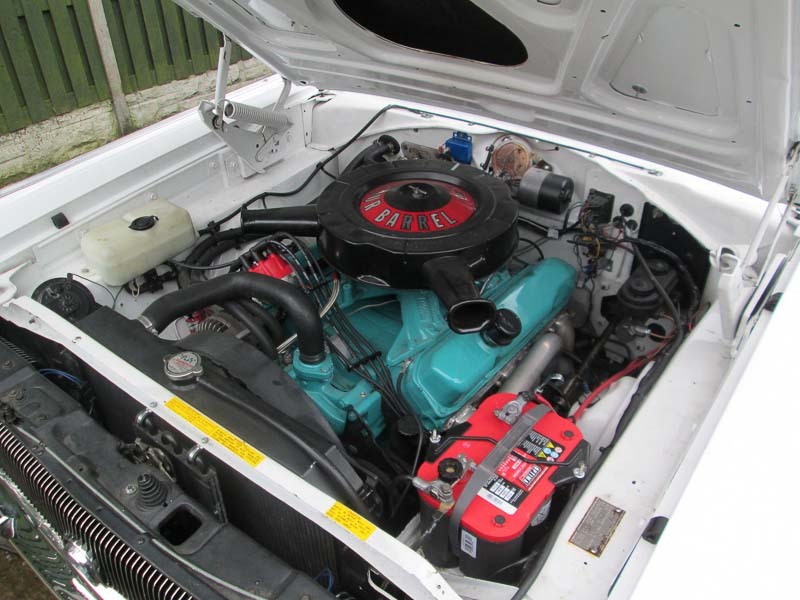 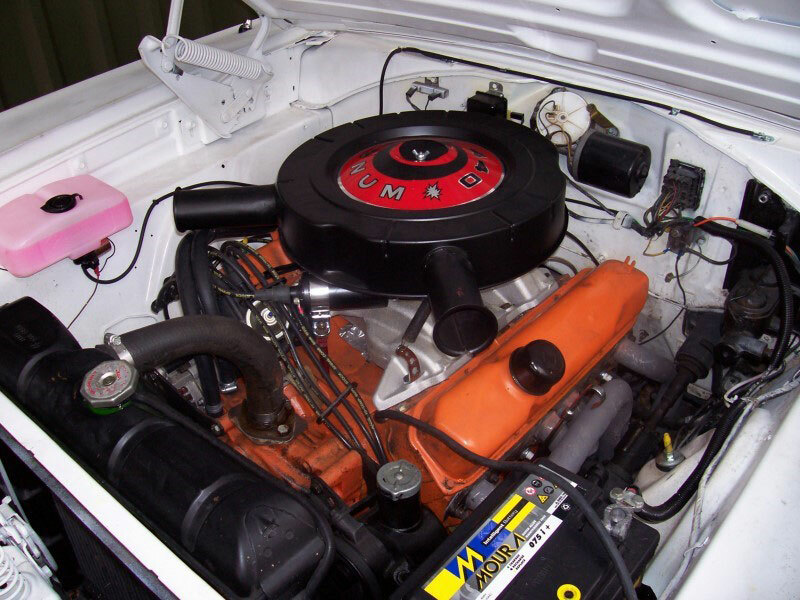 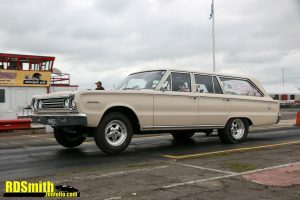 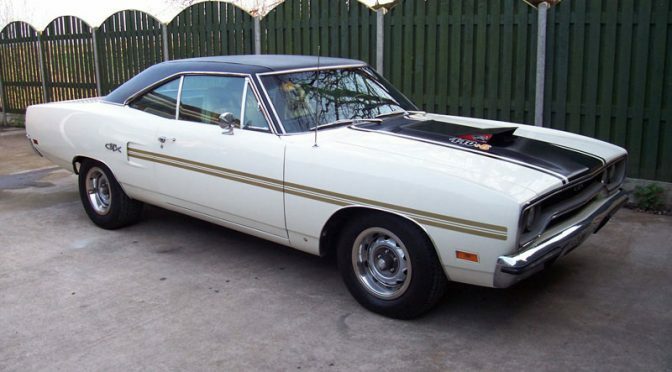 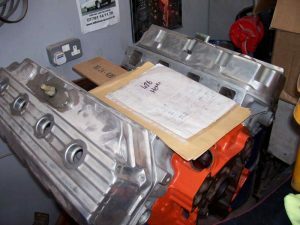 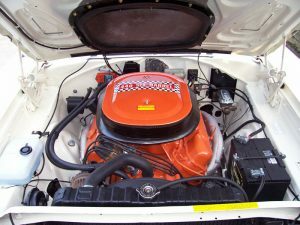 The motor was the next stage – a cross rammed 426 HEMI. 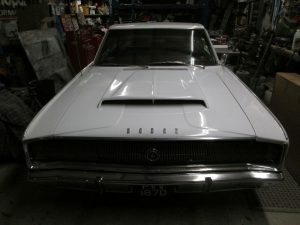 This very rare machine, home to a 440, came in for MOT work, wiring and a service. 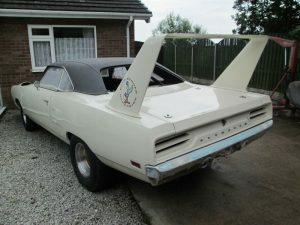 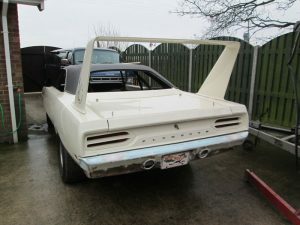 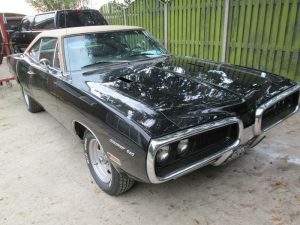 Further work included the ignition and brakes, and a Hemi scoop was fitted to the bonnet.